Looking for roofing companies in Fort Wayne? Need roof repair or replacement? The professionals at the Fort Wayne roofing company, Miracle Contracting, know that a good roof requires proper design, quality materials, and expert installation. A poorly installed or failing roof can cause untold damage to the value of your home and leave you with unexpected and unnecessary costs. Let the roofing experts and roofing repair contractors at Miracle Contracting install, repair or enhance your home’s roof with built to last materials, while always keeping an eye on your budget. 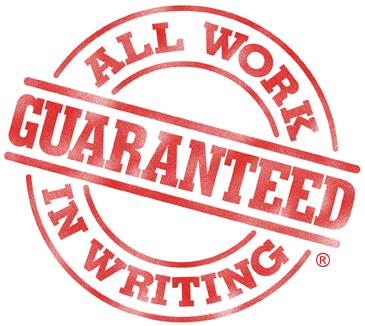 Miracle Contracting’s 2-Part Roofing Guarantee! Get It Done NOW 3 Day or Less Guarantee! If it takes us longer than 3 days, we will refund you $100 for every day that we are behind. Get It Done RIGHT 5 Year Guarantee! You get a 5-year guarantee on all work done by Miracle Contracting. If you have an issue with your roof due to a workmanship on our part, we will take care of it for FREE. There is a reason we have an A+ rating by the BBB! Let the Fort Wayne roofing replacement and repair experts at Miracle Contracting keep your home covered. Contact our roofers today at (260) 483-8108 to schedule a free consultation. We can also repair storm and hail damage to roofs and remove roof streaks.